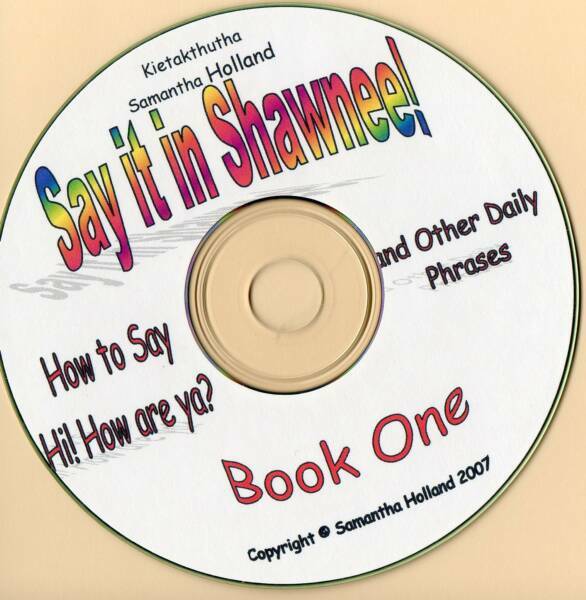 This is the first in a series of books emphasizing conversational Shawnee. How to say-Hi! How are you? 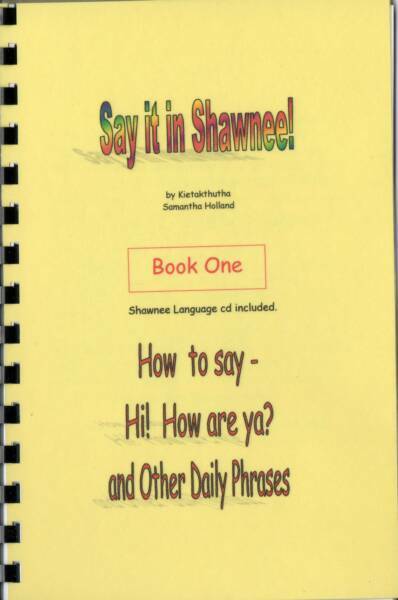 Book One: How to say Hi! How are ya? and Other Daily Phrases! Section One: Just say "Hi! How are you?" How do you do? How are you? What is your name? People words repeated using my, your and his/hers. Section Four: More Than One! People words repeated in plural form. Doing. I am done. Let me do it and more. What do with it! I bring it, I found it, I lost it and more. Sleeping I am sleepy. I am awake. Wake up and more. Putting it together. Making more sentences out of the words presented in the Book. 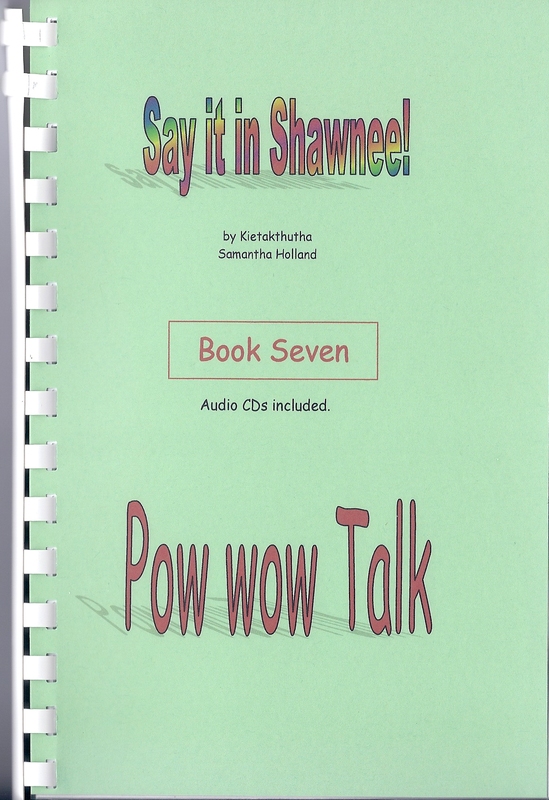 Each book is 1/2 sheet comb bond with laminated card stock cover.